Happy November, everyone! Since fall just arrived in Hong Kong, a lot of people may go to shop for some new clothes! Therefore, I think it's a great idea for me to show you guys what I wanna get for fall in Dresslily.com ! These are the items that I think everyone should get during fall! You can click the links down below to check out the items. What do you think? What are your fall essentials? Tell me on the comment sections! I like the embroidered bomber jacket and jeans. Nice selection. Great picks! 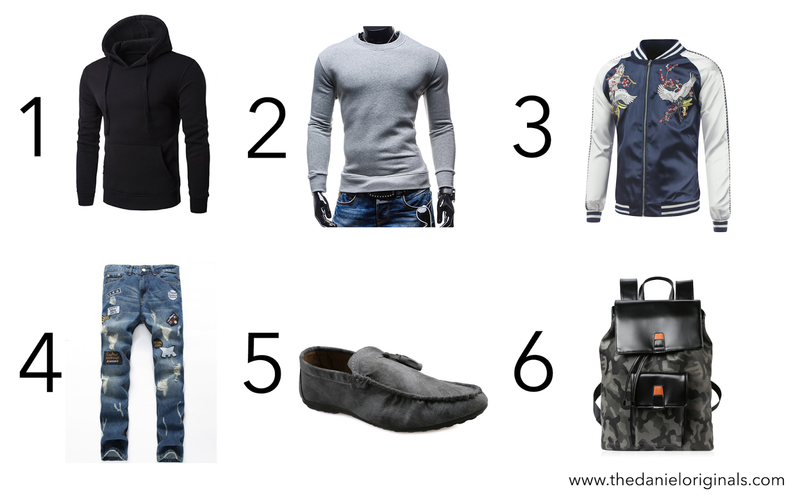 I can imagine how you'd styled Number 1, and my brother would love number 2 haha. I am all for bombers lately! I love the list! Wow, Daniel, I'm really loving all your picks here, you have such great style! Thanks for sharing and I hope you have a great weekend ahead! Hi Daniel! A fabulous wishlist you have here but my choices go to number 1 and 2. Some great picks here! Especially like the jumper it's gorgeous. So many fab picks! Have a great week!